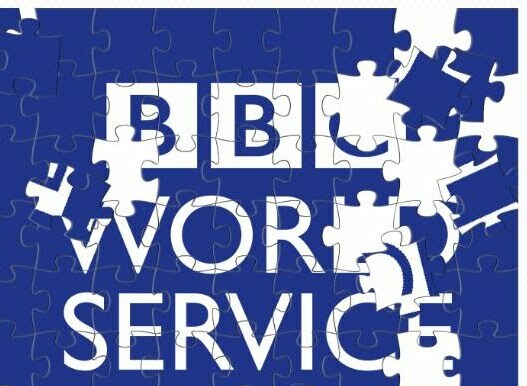 Like most people who've lived in the UK all their lives, I didn't know that the BBC broadcasts news, 24 hours a day, to the rest of the world in 52 separate languages. That all changed in 1997 when, fresh out of University, I joined the World Service as a sound engineer. I was suddenly responsible for mixing and playing out the reports, outside broadcasts, interviews, stings, music beds and documentaries in eight language: Hausa, Somali, Kinyarwanadan, French, Portuguese, Arabic, Swahili and Mandarin. I could speak one dialect: English. In a really broad "Ulster says NO!" accent. Luckily, the BBC had developed an intricate system of sign language, frantic pointing and flashing lights operated by foot pedals (no, really) that allowed idiotbrain monolinguists like me to communicate with the producers and journalists in the language sections. It also turned out I could follow scripts phonetically, even if I had no earthly clue what they were on about. There were pitfalls, of course. I was horrified to be parachuted on to the Thai language breakfast show after another sound engineer called in sick. Every time I stopped playing a tape and opened the microphones, one of the presenters would say "crap". I sweated through the broadcast, increasingly worried I was causing a major diplomatic on the other side of the globe. I slunk back to the office and admitted my poor performance to the boss, who literally fell off his seat laughing. It was, in a time before the phrase was invented, a proper ROFL. Apparently, Thai has a 'vocalised full stop', and the presenters were saying 'krap' to signify the end of a report. If I'd had a female presenter, she'd have said "ka" instead, and the whole sorry situation could have been avoided. However, the one lasting legacy of my exposure to all these cultures is that I can say "London calling, this is the BBC" in dozens of languages. It's not much of a party trick, but it's all I've got. Here's how some of the programmes used to sound in my day. Click through to the Souncloud page to learn which language is which.